The Public Building Commission (PBC) welcomed Carina Sanchez as its new Executive Director, Mayor Rahm Emanuel announced this week. “As a native Chicagoan, I am honored to have an opportunity to continue to work on behalf of the City that has given my family and me so much,” Sanchez said. “The Public Building Commission plays a critical role in the construction of the places that define our communities, such as our schools, libraries and recreation centers. As the parent of a Chicago Public School student, I feel a very personal commitment to my new position and I am humbled and honored that Mayor Emanuel has entrusted me with this responsibility.” Felicia Davis, the current PBC Executive Director, is stepping down to pursue other professional endeavors. “Carina Sanchez has worked tirelessly to serve the people of Chicago and I look forward to watching her continue that commitment at the Public Building Commission,” Mayor Emanuel said. 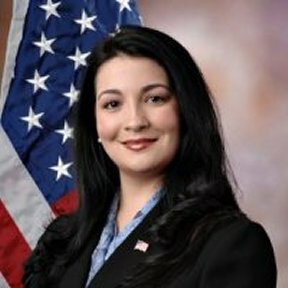 “I thank Felicia Davis for her leadership and service to the PBC, and I am confident that Carina is the perfect fit to continue the progress made in increasing the diversity of our workforce and the quality of our projects.” Sanchez is currently the Deputy Clerk for the Office of the Chicago City Clerk, a position she has held since 2012. Previously, she has held various outreach, external affairs and government administration positions within the offices of the Cook County Board President, the Illinois Treasurer, the Illinois Department of Financial and Professional Regulation and various other government agencies. As Deputy Clerk, Sanchez manages approximately 100 employees and a $10 million operating budget that generates approximately $150 million in revenue for the City. In this role, she has overseen and managed the historic transition from seasonal sales of Chicago Vehicle Stickers to a year-round sales program, which has brought $35 million in new revenue. In her role as Executive Director of the PBC, Sanchez will oversee construction and renovation projects for the city of Chicago and its sister agencies, including the Chicago Park District, the Chicago Public Library, Chicago Public Schools and City Colleges of Chicago. Sanchez will begin serving as executive director in February, pending approval by the PBC Board of Commissioners.